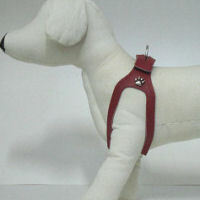 A unique small dog harness in natural leather that is truly choke-free. 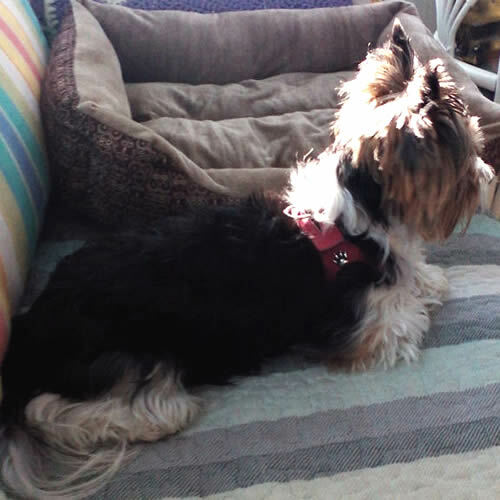 It's safe and comfortable for our little dogs. 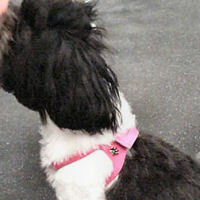 And the Choke-Free Harness has no pinch clasp, making it easy for both you and your small dog! 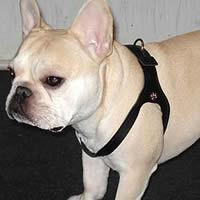 The Shoulder Collar Harness is patented and made in the USA. 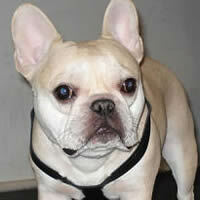 Scroll down for a short demo video. 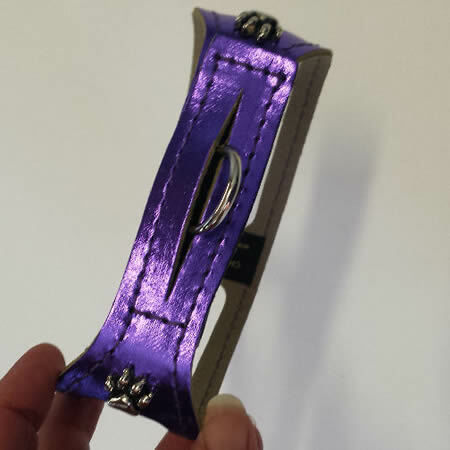 You can earn 21 Golly Gear Rewards Points on this product! 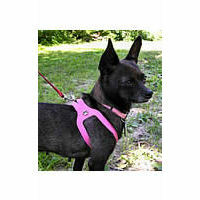 The Small Dog ChokeFree® Shoulder Collar Harness is unique. 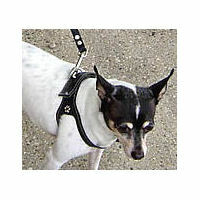 The Choke-Free® Shoulder Collar Harness is a brilliant invention - a harness with minimal coverage that keeps our small dogs safe and comfortable on a walk. 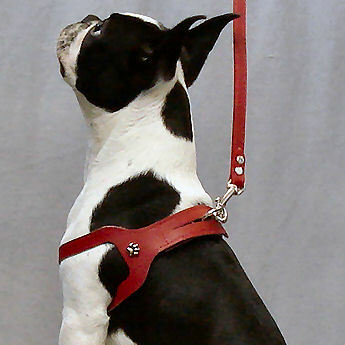 As the name implies, the harness is choke-free since it is far from your small dog's throat. 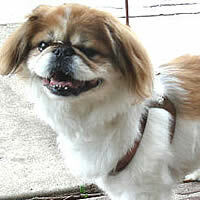 The Choke-Free Shoulder Collar Harness is made of natural leather that will get softer over time. 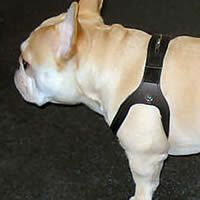 This dog harness is like a collar around your little dog's shoulders - it's one of those "Why didn't I think of that?" inventions! 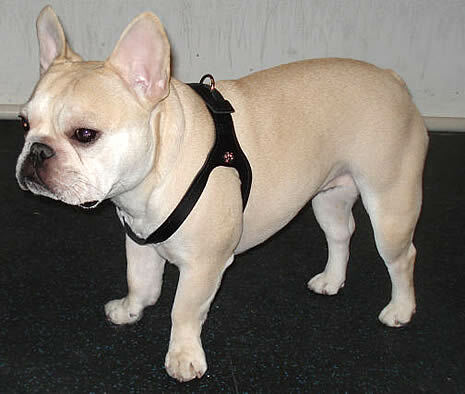 The Choke-Free Shoulder Collar Harness is easy to put on your little dog with no hard-to-use pinch clasp, and provides redundant safety when you fasten your dog's leash. 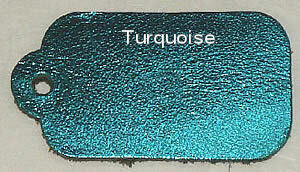 Scroll down or click here for a short video demonstration. 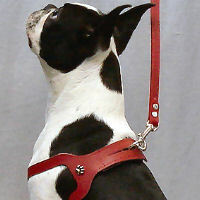 The Shoulder Collar harness even has a U.S. patent, and it's handmade in the USA! 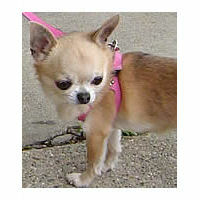 Above to the left is Melody the Chihuahua (all of 2 pounds!) in the Size 9. 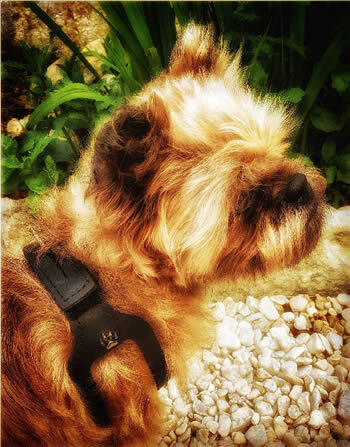 Above Etta the Brussels Griffon wears the Black in Size 19 (the first picture in the grouping). 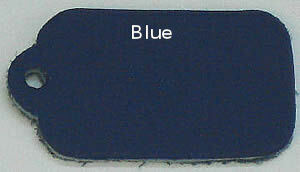 Please note that all colors and sizes are available! 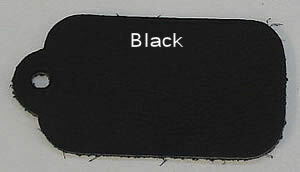 If you don't see your size and color choice in the drop-down menus above, please contact us for your choice to be included in our next order from the manufacturer (approximately once a month). 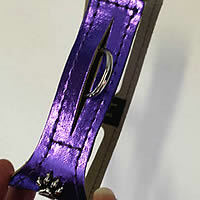 Call us at 800-694-6531 or 847-677-0680 or email us at manager @ gollygear.com. 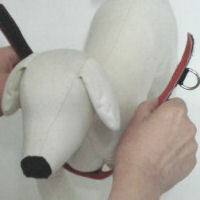 A small dog harness that's easy to use! 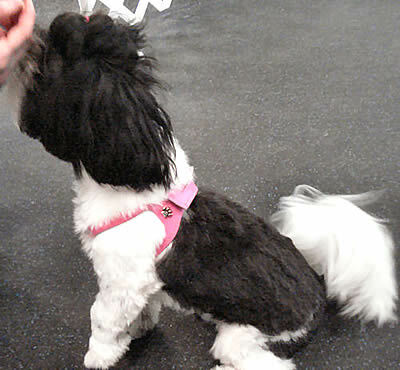 The Shoulder Collar harness is easy to put on your little dog: You'll put your pup's legs into the openings, and you'll bring the harness up over the dog's back. 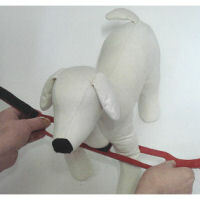 Lay the side with the leash ring down first and insert the leash ring through the slit on the other part, and press down to secure the velcro®. (Scroll down for a short video!) 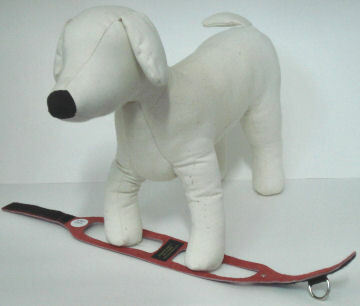 Attach the leash and you're ready to go! 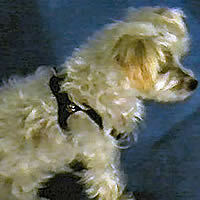 There is no pressure on your little dog's neck, and most dogs can't escape. 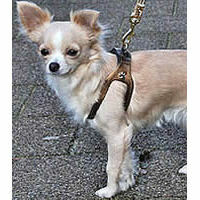 Plus, your leash provides an extra layer of security. 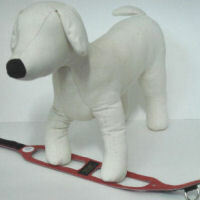 There are no straps to adjust, either. 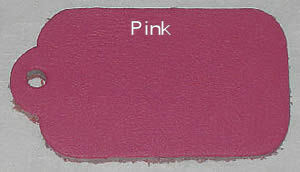 Made of super-soft natural leather, so there may be color variations. 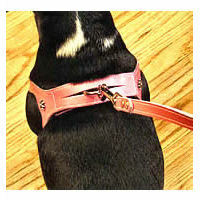 The size matches your dog's girth in inches: measure around the chest just behind the front legs. 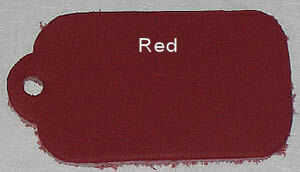 (A diagram showing where to measure is here - opens in a new window.) If the measurement is at the half-inch or toward the next inch, order a size up. 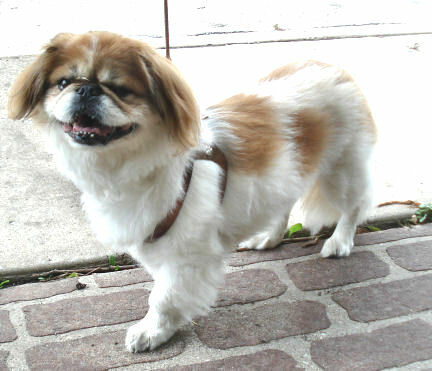 (For example, if your dog measures 15 1/2 inches, order the Size 16 or 17 for a little extra room.) 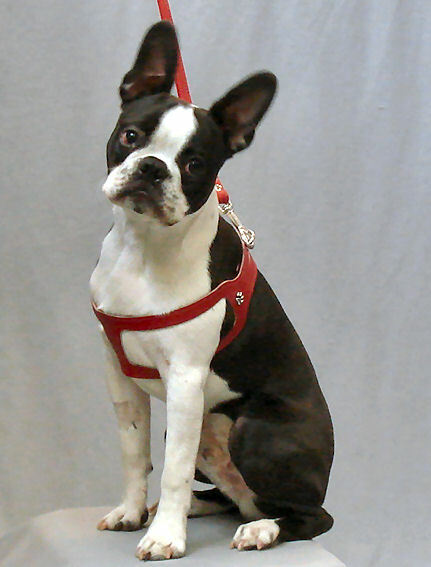 Booker, the Boston Terrier in Red above, measured exactly 18 inches and the Size 19 is perfect for him! 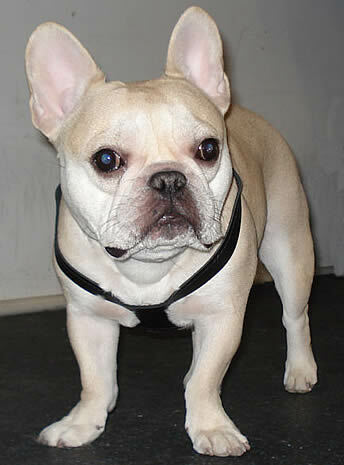 And Teddy (French Bulldog in Black), to the right, measures 21 1/2 inches. 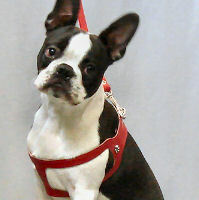 The Size 22 fits him like a glove! 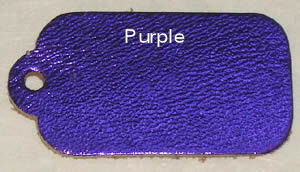 All colors and sizes are available! If you don't see your choice in the drop-down menus above, just contact us for your choice to be included in our next order from the manufacturer (approximately once a month). 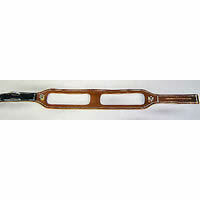 Call us at 800-694-6531 or 847-677-0680 or email us at manager @ gollygear.com. 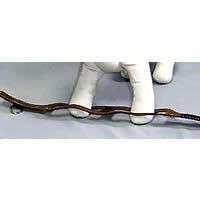 The 4-foot Leash by OmniPet matches the color of the leather perfectly, and it's only 1/2 inch wide. 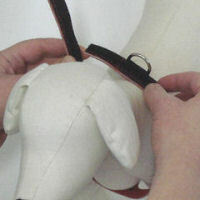 Start with your dog's feet in the openings. 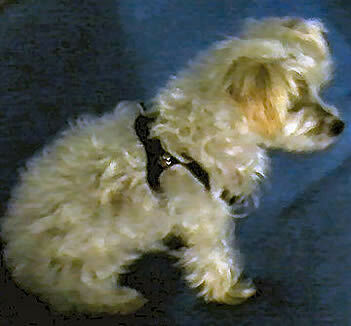 Then start to bring the harness up the legs. 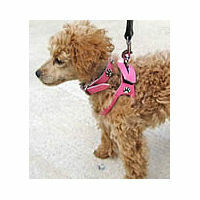 Continue bringing the harness up the dog's legs, all the way up to the chest. 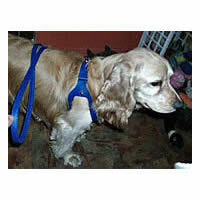 Lay the side of the harness with the leash ring on your dog's back. 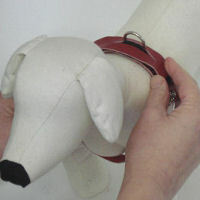 Bring the other side of the harness up and insert the leash ring through the slit. 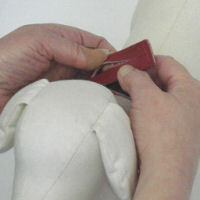 Fasten the Velcro closure. 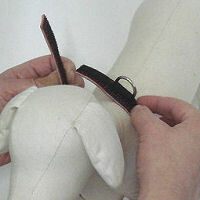 Make sure the harness is seated properly at the shoulder blades. 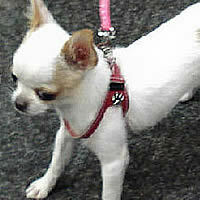 Attach the leash and you're ready for a walk with your little dog. 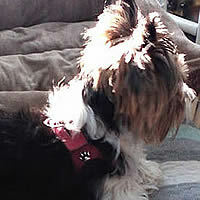 "Sorry but I don’t trust a dog collar/harness that closes with only Velcro. 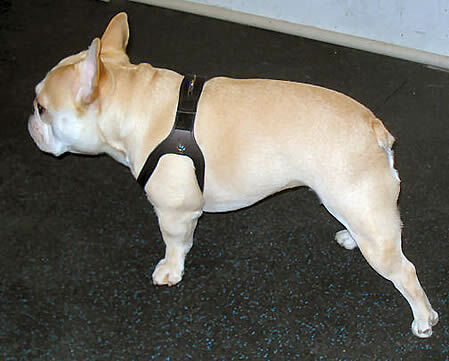 (Note from Golly Gear: This harness doesn't rely solely on Velcro - the overlap design locks the harness together when the leash is attached.)" 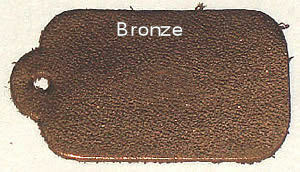 "Love it, great quality and MADE IN THE USA!"